 Macat Critical Thinking Assessment & Development (CTA&D) combines an intuitive assessment and analytics platform with a comprehensive set of learning resources, to help measure, analyse and develop critical thinking skills in your university or college. CTA&D has been designed to help universities or colleges across the world to develop students' critical thinking skills, prepare them for further education or the workforce, and help them flourish as 21st-century-ready leaders, innovators, and strategic thinkers. See how CTA&D can benefit your institution. Request a demonstration below. The only critical thinking solution to combine assessment, analytics and learning development. Once students have completed the assessment, they can access the platform's interactive analytics dashboard to review results in real-time, explaining how they scored and areas for improvement. Universities will also have access to the analytics platform, with the ability to view results by institution, class or individual, or download the full report in PDF format. Students will now be served with a number of online exercises that address the specific PACIER skills in which they need improvement. Upon completion of the exercises, the university or college can decide to run the assessment again, analyse where improvements have been made, and address remaining skills gaps through further exercises.